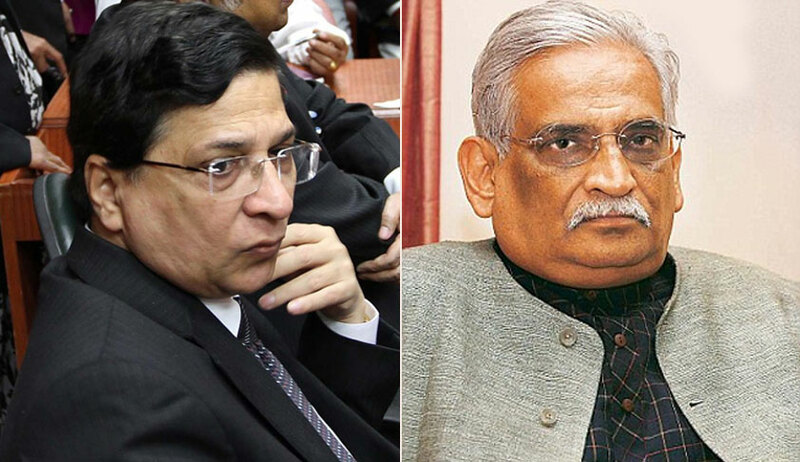 The hearing in the Ram Janmabhoomi-Babri Masjid case not only witnessed special bench headed by Chief Justice Dipak Misra taking stock of the status of pleadings and submission of documents but was also marked by some sharp comments from senior advocate Rajeev Dhavan who appeared for Appellant M.Siddique (Through LRS) . Dhavan insisted that the issue was important and demanded day-to-day hearing by a constitution bench. He also said that such a constitution bench should sit at a stretch and “not like now when it breaks often to hear other matters. There must be continuity”. “ This is an important issue which should be heard by a constitution bench and there should be day to day hearing at a stretch not like now see how constitution bench hearing is being broken god knows when and why and some other cases are taken up”, he said. “Bearing in mind what has been observed in the Ismail Farooqui judgment, this matter is assumes importance not just for the country but globally...”, he said. There was angry exchange again when advocate C S Vaidyanathan who appears for Lord Ram said “All parties should give a synopsis of their line of argument to the bench and exchange with contesting parties". “ I will not give any synopsis on line of argument . I will argue the way I want to. Your lordship cannot curtail my right”, he kept repeating. At this moment Additional Solicitor General Tushar Mehta intervened to tell Dhavan: “Hyperbole must be avoided”. The Chief Jusstice then said: “Propositions lead to assumptions, leading to presumptions, leading to untruth, leading to folly, leading to danger, leading to guilt, which can kill a man"
It is to be noted that Dhavan had on December 11 announced his retirement from court practice following some sharp exchanges with CJI Misra during a earlier hearing of the Ramjanambhoomi dispute and Delhi Govt Vs Lt Governor power tussle case and then withdrew the decision on December 28. Withdrawing his decision to retire, Dhavan wrote to CJI Misra that he would continue to fulfill his obligations in several pending cases such as the Babri Masjid dispute. Besides, he said, several ex-justices of the court and a sitting judge, along with many senior and other colleagues had requested him to withdraw his statement about retirement. “I owe and have learnt a lot from the Supreme Court and judicial system, including my colleagues, and have not repaid my debt,” he wrote.